From cow to cup, ever wonder how your milk is kept safe? 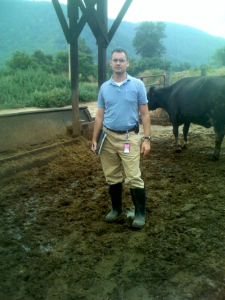 The Virginia Department of Health (VDH) oversees dairy producers and milk plants to ensure a safe, nutritious product is distributed to the people of the Commonwealth. Virginia dairy farmers produce approximately 240 million gallons of milk each year from over 700 dairy farms. This milk in its raw form has the potential to include dangerous germs, pathogens, bacteria or contaminates that could harm a consumer. Once milk is processed (pasteurized) and quality checked for safety, it travels to your cup. 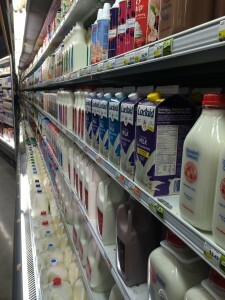 The Virginia Department of Health and the Virginia Department of Agriculture and Consumer Services (VDACS) work to ensure the safe handling of dairy products from the farm to your table. As regulatory agencies, VDH and VDACS enforce the Virginia Grade A Milk Regulations, which are based on the U. S. Food and Drug Administration’s Grade A Pasteurized Milk Ordinance. These regulations pertain to the production, transportation, processing, handling, sampling, examination, labeling, and sale of Grade A milk products. They help to ensure all milk comes from healthy cows living in sanitary conditions and that milk is properly pasteurized and processed. VDACS and VDH have separate, yet overlapping, roles in regulating dairy producers and milk plants in order to keep the consumer safe. The VDACS role in milk safety also comes in the form of ensuring the finalized milk products continue to be held at proper temperatures once they are in retail stores. VDACS Food Safety Specialists conduct routine inspections of retail grocery and convenience stores where milk is sold directly to the consumer. Visit VDAC’s website to learn more about their regulatory dairy program and to better understand their role in keeping milk safe. 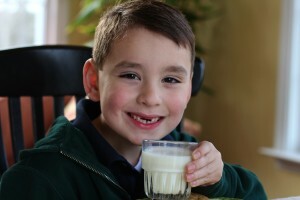 All of the work completed by the Virginia Department of Health’s Milk Safety Program helps to ensure the public’s safety by hopefully preventing dairy related illnesses in the Commonwealth.